There was a talented street artist creating balloon creatures at the Scotiabank BuskerFest 2013 — aka BuskerFestTO — in support of Epilepsy Toronto. I call it Creature from the Colored Balloons. 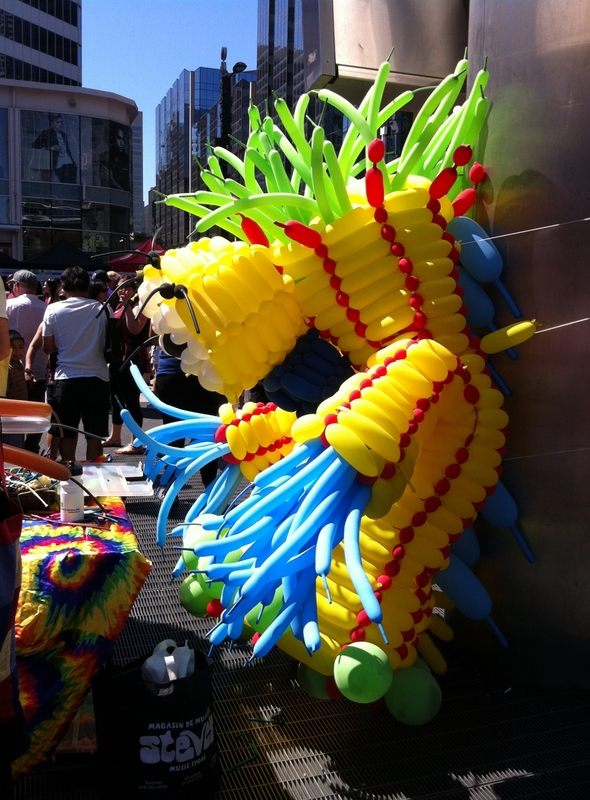 If you’re in Toronto or environs, there is still time to get your own balloon creature. Sunday: 11 am – 8 pm. I ate the peameal bacon — aka Canadian bacon or peameal back bacon — on a bun. I drank the fresh lemonade. I visited Tiny Tom. I always visit Tiny Tom ever since I discovered him within sniffing distance. 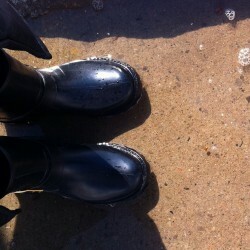 I walked miles. And then I walked miles back. I road the rails, both train and subway. I delighted in the street theater and embraced the crowd. It was everything you would expect from a street festival. Can’t wait to do it all again next year. Thank you for the early birthday adventure, Mr. G, honey. You get me.